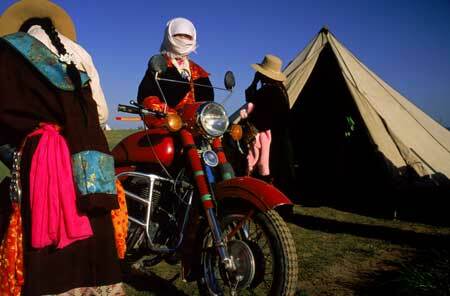 Located in northwest China, Qinghai province has the largest Tibetan population outside Tibet Autonomous Region. In the area, many herdsmen also acquire their own motor vehicles, from motorcycles, cars to trucks. Seen in the image is an interesting earliest brand motorcycle made in China with a long history.